Cod not avilable on this product! 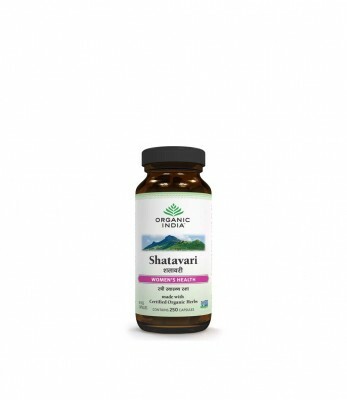 ORGANIC INDIA Shatavari 250 Capsule Bottle – Women’s Health Shatavari is the herb that is traditionally taken to support well-being through all phases of a women’s life cycle. Shatavari provides natural and organic plant based estrogens that support women’s health needs from adolescence throughout her life. Shatavari is also a natural diuretic that helps relieve fluid retention.